This post has been viewed 5481 times. Quakes bigger than Japans coming to a place near you? Millions of people in Europe, the Middle-East and Asia are at risk from deadly tremors which can strike out of the blue in unmapped earthquake zones, scientists warned last night. 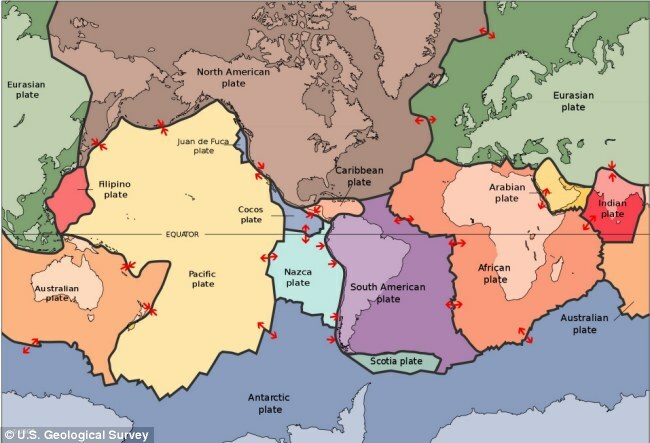 Attention should be focused on these regions, which lie within the interior of continents, instead of well known earthquake 'hotspots', according to two leading experts. They stress that 'interior zone' earthquakes kill far more people than those in recognised danger areas on continental edges such as Japan and California. Over the past century, earthquakes on large fault lines where shifting plates of Earth's crust collide and slip have claimed around 800,000 lives, say the experts writing in the journal Nature Geoscience. 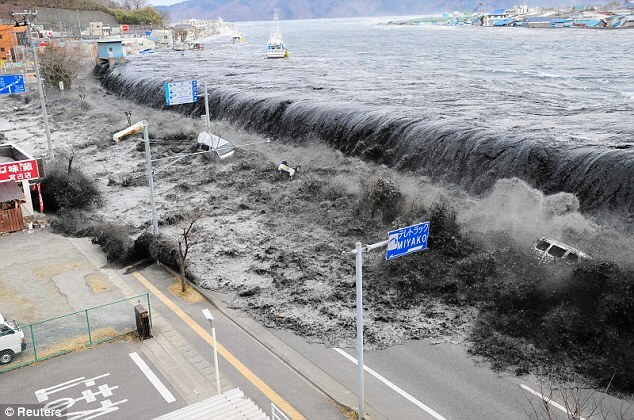 Around half these deaths were due to tsunamis like the one which struck the north-east coast of Japan in March. In contrast, sudden earthquakes in continental interiors within the plates killed around 1.4million. Interior quakes also killed far more people directly by shaking the ground and toppling buildings. Professor Philip England, from Oxford University, and Professor James Jackson, from Cambridge University, classified 130 earthquakes occurring in the last 120 years. They argue that more scientific resources should be directed at identifying seismic risk in regions such as the ten million square kilometre Alpine-Himalayan belt, which covers Italy, Greece, Turkey, Iran and central Asia, and China. The scientists wrote: 'On the plate boundaries, the location of the hazard is well known and earthquake timing constitutes the greatest uncertainty. 'In many parts of the continental interiors, however, we do not even know where the hazards lie. The experts pointed out that despite the scale of the Tohoku Japanese earthquake disaster, the death rate was 'impressively low'. The earthquake exposed more than six million people to shaking of magnitude eight or greater intensity. 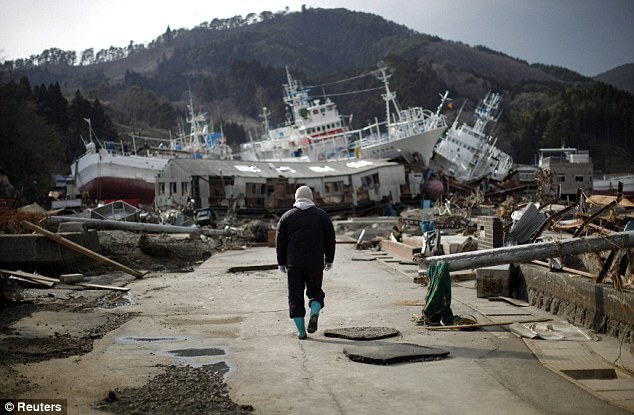 Although 25,000 died or are still missing, they made up just 0.4 per cent of the total, and most deaths were due to the tsunami triggered by the quake. 'In striking contrast, death rates in earthquakes within continental interiors have often exceeded 5 per cent and can be as high as 30 per cent,' the scientists wrote. Interior earthquakes involved loosely defined networks of numerous faults where displacements in the earth's crust accumulated slowly. Earthquakes on plate boundaries, on the other hand, were centred on precisely known narrow faults where movement occurred relatively quickly. Examples of deadly earthquakes in continental interiors included those which struck Bam, Iran, in 2003 (30,000 deaths), Muzzafarabad, Pakistan, in 2005 (75,000 deaths) and Wenchuan, China, in 2008 (70,000 deaths).